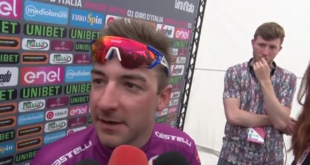 Elia Viviani (Quick Step Floors) takes the sprint on Giro d’Italia 2018 stage 2! The big favourite for the first bunch sprint stage didn’t disappoint the previsions and won the sprint in Tel Aviv. 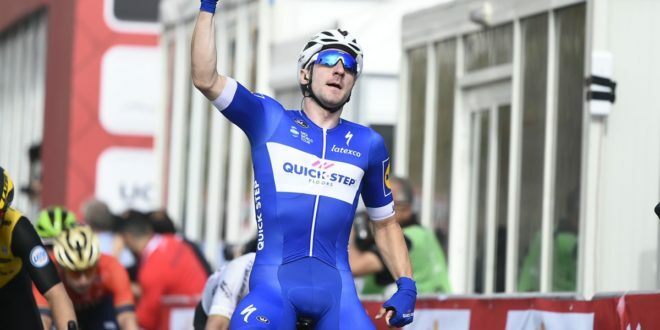 Viviani has lost, within the last kilometer of racing, the wheels of Quick Step Floors’ train but this itch didn’t stop the Italian. Jakub Mareczko (Wilier Triestina – Selle Italia) broke out early and started to sprint with 300 meters to go. Viviani understood Mareczko’s move was the decisive one and followed the twenty-four years old. The overtaking took place with over 100 meters remaining: Mareczko moved on the right side of the road but he wasn’t fast enough to stand out to Viviani. Sam Bennett (Bora-hansgrohe) performed a come back but his move only allowed himself to finish in third. Rohan Dennis (BMC Racing), who won the second intermediate sprint of today’s racing, is the new overall leader. The Aussie was only two seconds down on Dumoulin in the GC this morning and the 3 bonus seconds he has achieved are worth the maglia rosa. The Giro d’Italia first flat day of racing is a gold opportunity for all of those who want to stand out for a day. Nevertheless, the fight for going clear hasn’t been heated by a lot of pretenders. Davide Ballerini (Androni-Sidermec) attacked twice: at first together with Victor Campenaerts, then with Lars Bak, both of Lotto-FixAll. The Belgian was too close to the lead in the GC so Team Sunweb and BMC Racing chased the European Champion against the clock. Bak and Ballerini were joined by Guillaume Boivin (Israel Cycling Academy) after 42 kilometers of racing. The Canadian could reel in the breakaway because the leaders’advantage was very tiny. The breakaway lasted until the race hit Zikhron Ya’Akov KOM sprint. BMC Racing carried out an injection in pace that allowed the group to jump across the gap rapidly. Enrico Barbin (Bardiani-CSF) attacked from the group at the bottom of the climb and chased the break. Boivin seemed he was close enough to win the sprint but Barbin accelerated in proximity to the summit and overcame the Canadian taking in this way the blue jersey. As soon as the peloton chased all the leaders – by the descent – BMC Racing kept pushing until the second intermediate sprint. Tom Dumoulin looked like he wasn’t interested in keeping the maglia rosa and Dennis crossed in first the line ahead of Viviani, whose sprint was approached late, and Roelandts. At this point of racing Boivin apparently didn’t have enough of leading the race so moved a counter attack. 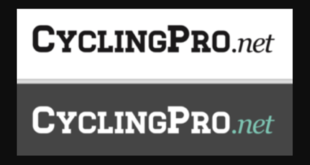 The Canadian has led solo the stage for most of the last hour of racing by holding on at 1 minute of advantage over the peloton. At first only Bora-hansgrohe was struggling in order to chase the leader but at a later stage also Quick Step Floors joined the German team. The chase took place with 16 kilometers to go and at this point several teams moved up to the front. 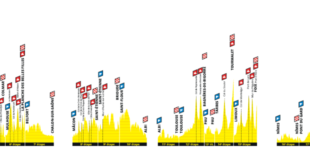 The sprinters’teams knocked elbows to get at the front of the group and Lotto Nl – Jumbo has been the most active team until Tony Martin and Enrico Battaglin moved an attack with only 3 kilometers to go. Also Josè Goncalves and Tosh Van der Sande tried to open a gap but they were all caught by EF-Drapac. Quick Step Floors took the control of the bunch with over 1,5 kilometers remaining but Bora-hansgrohe was better organized and sitted in the lead instead of the Belgian squad. 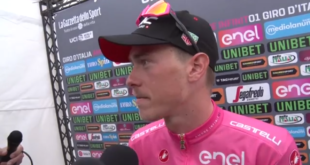 The German’s team best position in comparison to Viviani’s one hasn’t been enough for Bennett, who only finished in third after Viviani and Mareczko, to achieve the success.